You simply don’t talk about the influence of the Israel lobby unless you want to get labeled an anti-Semite. 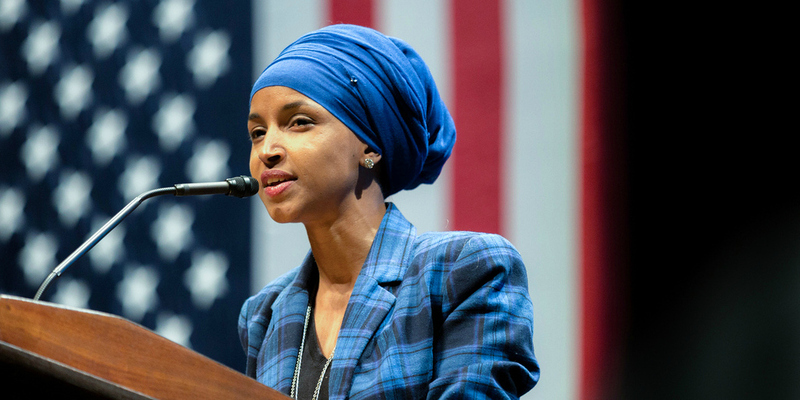 Part 2: Debate Over Labeling Omar Obscures Vital Debate on Israel/Palestine. Though it was not their intention, Ilhan Omar’s critics did her a favor. Related: Our Approach to Zionism: How did the Jewish state become an oppressive state? In Washington polite society you simply don’t talk about the influence of the Israel lobby and its money unless you want to get labelled an anti-Semite. “Tell me who you cannot criticize and I will tell you who is your master”. March 9, 2019 | Saying anything negative about Israel has long been the third rail of US politics and media. Israel is our nation’s most sacred cow. Any questioning of its behavior brings furious charges of anti-Semitism and professional oblivion. I keep in my bookcase a cautionary book, ‘They Dared Speak Out’ written by US senators and congressmen who all lost their positions after rebuking Israel for its mistreatment of Palestinians or daring to suggest that Israel had far too much influence in the US. Eric S. Margolis is an American-born journalist and writer. For 27 years, ending in 2010, he was a contributing editor to the Toronto Sun chain of newspapers, writing mainly about the Middle East, South Asia and Islam. Chait has a clear double standard for cultural sensitivity and respect: He requires a young Muslim woman to be conversant in and circumspect of even antiquated stereotypes about Jews, while his own remark makes use of the much more current stereotype of the sneaky, shady Arab or Muslim who is not to be trusted. March 8,2019 Though it was not their intention, Ilhan Omar’s critics did her a favor: They proved the very point she made at the Progressive Issues Town Hall at Busboys and Poets bookstore in Washington, DC, last week. It’s almost as if, every single time we say something, regardless of what it is we say, that is supposed to be about foreign policy or engagement or advocacy about ending oppression or the freeing of every human life and wanting dignity, we get to be labeled something, and that ends the discussion. Because we end up defending that, and nobody ever gets to have the broader debate of what is happening with Palestine. / Katie Halper is a comic, writer, blogger, satirist and filmmaker based in New York and the host of The Katie Halper Show on WBAI. Katie graduated from The Dalton School (where she teaches history) and Wesleyan University (where she learned that labels are for jars). Part 1: Racism and Israel's election: How did the Jewish state become an oppressive state? Israel’s descent into an apartheid state seems inevitable. Jewish Voice for Peace is guided by a vision of justice,equalityand freedom for all people.